Hey gang, Valkor here. 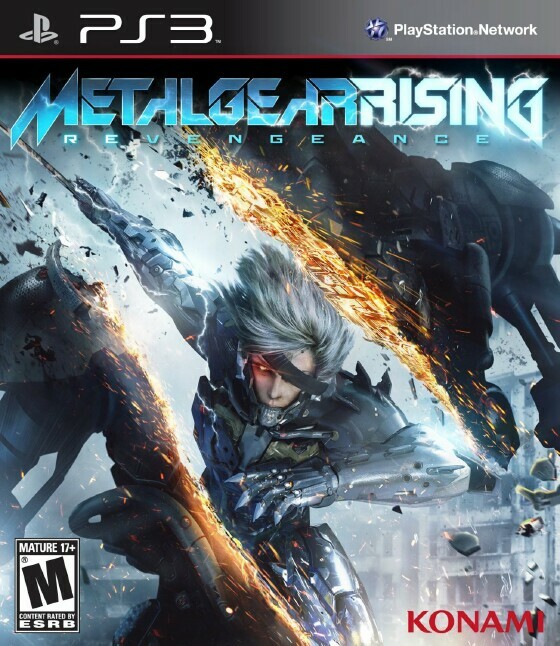 And I never thought I'd see the day where Konami's Metal Gear Rising: Revengeance would ever see the light of day. The first time I saw "mention" of it was during Konami's press event during E3 2009. The game was canned in 2010 because it had no direction. But since then Platinum Games has taken over, makers of all things awesome such as Vanquish, Anarchy Reins, and Bayonneta, and the game is finally ready for prime-time. And After ferociously pummeling my way through the demo, the final retail version is finally within my grasp. This gon' be good! 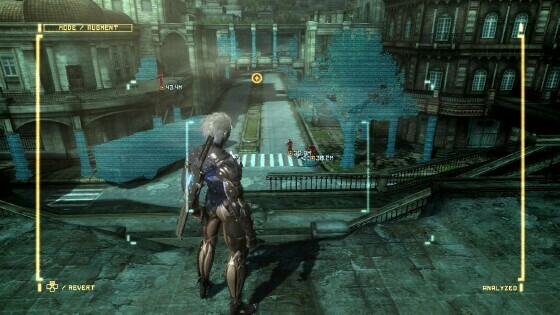 Metal Gear Rising: Revengeance puts once supporting character Raiden at the center stage and takes place approximately four years after the Sons of Patriots. At the jump, Raiden is working for a private military company, doing protection work and at that time, protecting Prime Minister N'Mani. However their convoy is attacked by a group of Cyborgs known as Desperado Enterprises and the Prime Minister is kidnapped by the group's leader Sundowner. 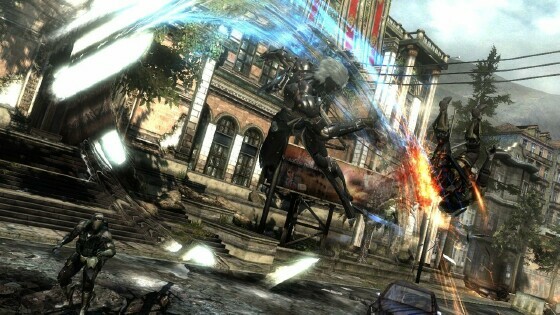 Raiden gives chase, but is unsuccessful, taking quite the beating. Three weeks have passed since that incident and now Raiden, equipped with a new cybernetic body and a taste of revenge, tracks down Sundowner and his troop in Abkhazia, switching gears to Mexico, and America, where Raiden learns it was all Sundowners plan to keep him occupied, while the real plan goes into effect – Operation Tecumseh. Raiden will face off against Sundowner and his cybernetic gang Mistrel, Monsoon, Samuel, Sundowner himself, and giant mechs. The game also will reintroduce Raiden's past persona "Jack the Ripper" through seven chapters total. While that might seem short, the chapters are pretty hefty and there are VR missions you can find throughout the game. 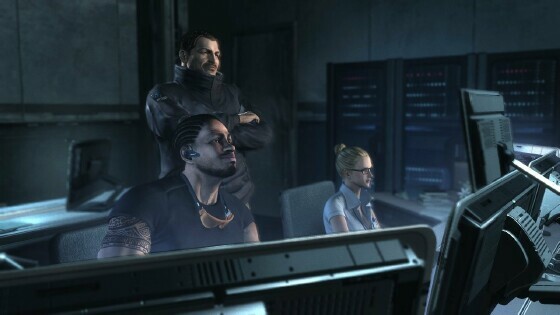 And Raiden isn't alone on this journey as he'll have backup from his Maverick team, whom you can call upon for support using codec – Boris, Kevin, Courtney, and the Doktor. 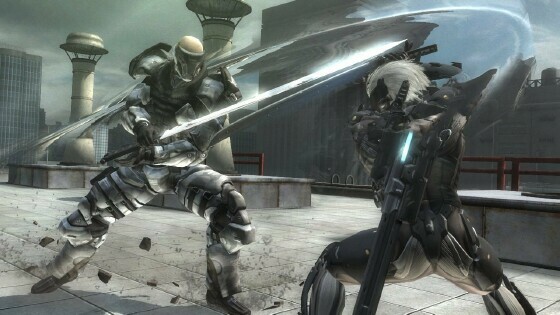 Revengeance dismisses the Metal Gear stealth gameplay mechanics, switching the focus focusing for all-out swordplay; however it's not all about the action as there are some stealth elements involved with the game. You can even play through using nothing but stealth! 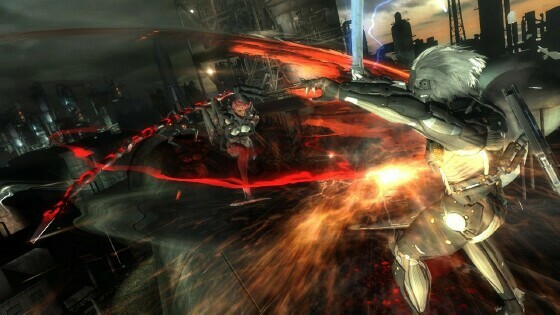 At the start, Raiden is equipped with a katana blade and a two button attack – light and heavy, which you'll use to string together a series of devastating combos. Once you've defeated the major bossed, you can make use of their weapons such as Mistral's L 'Entranger, or Monsoon's Sai Dystopia. As you defeat enemies they'll drop BP (or you can find them in item chests), which can be used as currency to "enhance" weapons, upgrade his cybernetics with new skills, and even customize his armor. 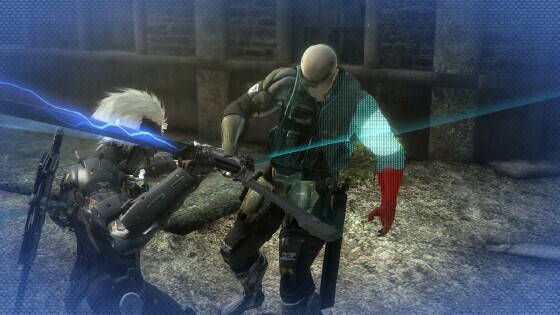 In conjunction with his blade attacks, Raiden can also use "Blade Mode", which allows you to perform a precise cut an enemy; so rather than killing them outright, you can slice off specific body parts to ultimately take them out (only when they turn blue). 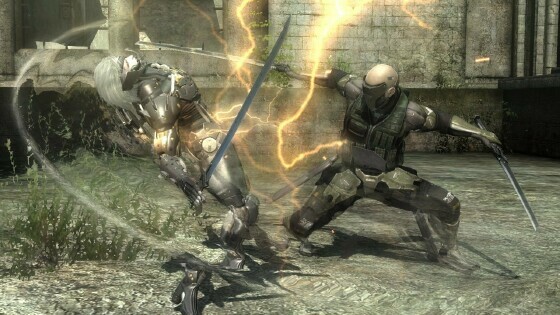 Aim for their target spot and you can perform a "zandatsu" to snag some lost electrolytes that will refuel Raiden's health or fuel cells, or grab certain parts from enemies; there are guards whose left arm is useful to the Doktor and if you can safely collect enough of them, he'll make something special for you. You use blade mode by pressing L1 then using L3 and R3 for a more specific slice or you can also use the square and triangle buttons to simply go all out. 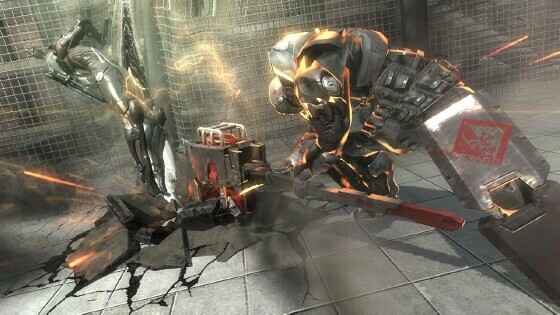 Other tools and abilities at Raiden's disposal are sub weapons, which he'll find scattered about the chapters such as grenades, rocket launchers, and the infamous cardboard boxes. He also uses a ninja dash, which not only helps him run really fast but he can deflect bullets and reach other areas that he can't reach by normal methods. Raiden can also utilize stealth, sneaking up on an enemy and performing a "stealth kill" when he's close enough and you can perform a stealth kill on small and larger foes. Next, Jack is back. When you fight Monsoon Raiden will take teh form of his deadly person "Jack the Ripper", which you can use after that battle by pressing both L3 and R3 at the same time. This will increases Raiden's strength making his attacks even deadlier and more devastation, though it rapidly drains his fuel cells. 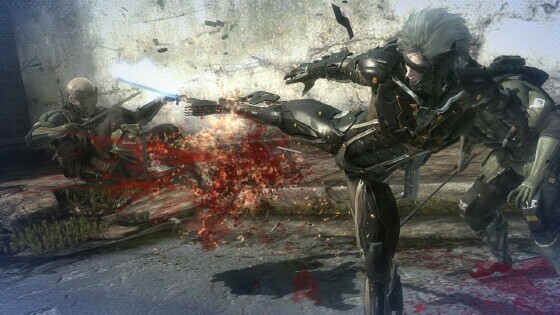 Finally parrying is an all too important skill in Raiden's repertoire and he can parry almost any attack – even ones that are behind him. You'll need to master parrying enemies because even on normal, the game is quite difficult. To do this you simply push the L3 button towards the enemy while pressing light attack. He can then counter attack with ease, especially enemies who are dazed. As you ease into the mechanic, you'll find that wiping out the baddies to be a breeze. If you find them, there are posters of Japanese Idols strewn about. Slice them with blade mode to remove their "covering", which will garner an excited response from Boris. I'll be honest, when I first saw gameplay vid of Revengeance… I was very overwhelmed. The game was fast and the moves that could pulled off? I seriously didn't think I could play it. But then I had a chance to partake of the demo and after a few tips from Gabriel Zamora over at 2D-X, I was ready for the full game experience. And when it arrived, I fell right in and enjoyed every minute I spent with the title. The game is super intense and it throws everything and then some at you right from the start. The hell, your first boss battle is a Metal Gear mech! And there's even more intense moments like that as you progress. Thankfully the cinematics kick in to a) help move the story (which is amazing) and b) give your fingers a much needed break. Huge plus for the length of the vids, which doesn't come anywhere near the that of Metal Gear Solid 4's cinematics. Raiden's animation is fluid and super smooth; watching him perform his insane combos is a sight to behold. There might be some that are put off by his two button combo system, but it worked for Batman: Arkham Asylum, and its way better here. Finally the music, overall, isn't bad but you'll want the tracks found in the boss fight – INTENSE; serious guitar riffs mixed with vocals truly adds to the insanity of the fight! It gets you amped! In the end, there aren't too many games I'd play through again and again, and I'm glad to count Revengeance as one of those titles. Great job Kojima and Platinum Games! It is kinda short; while there's a lot that you can do to stretch things out, at max you'll get about 8 – 10 hours of play. 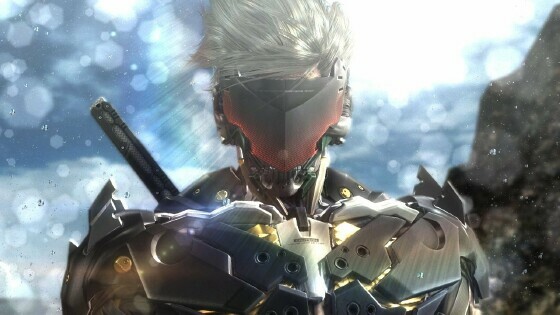 Metal Gear Rising: Revengeance is currently available now on the Playstation 3, Xbox 360, and PC formats and it's a must have game for anyone looking for an intense actioner mixed with an amazing story that's totally a lot of fun! Yes the trip may be short, but I think it's worth the ride. And out of TOV 5 stars, Revengeance gets a 5 star perfect in my book!